I love movies like Life Itself that tell stories spanning a range of time and place. I don’t know, giving a story more scope makes it feel more important, makes you invest more in the characters with long-term growth, and when done right it makes you think about the big picture, the nature of the human experience, the world, and yes, life itself. But I don’t like Life Itself. The movie from director and This Is Us creator Dan Fogelman that shares a name with a fantastic Roger Ebert documentary from 2014 is extremely ambitious in the effect it wants to evoke, but to the point it doesn’t realize it’s not actually saying anything profound with its grand structure. 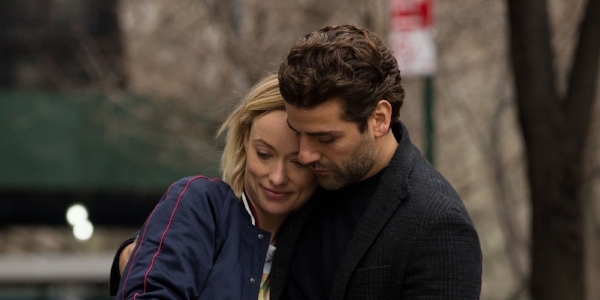 Presented in “chapters,” the movie tells four stories of two generations of two families; how a tragedy that hits New York couple Will (Oscar Isaac) and Abby Dempsey (Olivia Wilde) reverberates into the life of their daughter Dylan (Olivia Cooke), while also focusing on the lives of Spanish labourer Javier Gonzalez (Sergio Peris-Mencheta) and his son Rodrigo (Alex Monner), and their connection to the same incident. Right from the start the movie throws you with its bizarre storytelling: a Samuel L. Jackson narration that keeps stepping over itself and is jarringly meta-textual, eventually leading into a shock moment that seems to be satirically exaggerated. But even after the reveal of what this early sequence really is, the film maintains a confused tonal irregularity, where dramatic and sometimes brutally traumatic experiences are presented without weight or followed up on with a light-hearted comment or transition. It’s senselessly disorienting and disengages you with the characters, who aren’t all that interesting to begin with. We learn more about their personalities through an obnoxious narration device than from the characters themselves, and what we do see doesn’t really endear them. This isn’t on the actors though, all of whom are really giving good performances, but rather that the script doesn’t allow them to develop much on their own. In addition to Isaac, Wilde, and Cooke, the film also features Mandy Patinkin, Jean Smart, and Annette Bening. However, the tonal inconsistency and character thinness doesn’t apply to the Gonzalez story when it takes off, making it feel like an excerpt from a separate movie. 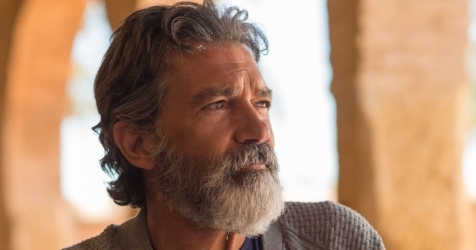 It’s actually the best part of the film, largely due to the exceptional performances from Perris-Mencheta, Monner, Laia Costa, and Antonio Banderas. Costa especially is tremendous in a few scenes. The flow is much more natural through this part of the movie, there’s one really graceful series of transitions, it doesn’t exploit much a non-linear style the way the New York component does, allowing the drama clearer room to build and the focus to be much more sustained. Though the narration device is still present and annoying. The film touches on and literally addresses themes of love, destiny, serendipity, and even existentialism but doesn’t do anything with them apart from some basic philosophical musing. 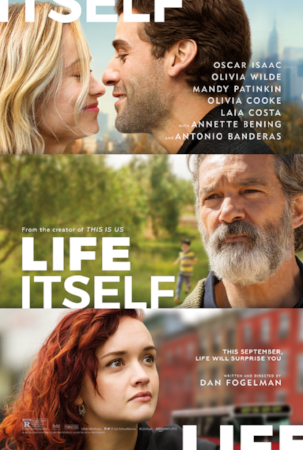 Abby, at one point writes a literary thesis arguing that life is the great unreliable narrator, which is an interesting lens, but doesn’t amount to a conclusion any more substantial than “life is unpredictable” (quite funny considering this movie is very much so). But Fogelman wants you to think it’s a deep insight of some sort, that it somehow is a new, more inspired way of looking at the world and how to go through life; and he expresses this by mocking the in-film (though unseen) authorities who reject that hypothesis as sexual offender professors or out-of-touch elitists. As provoking as Fogelman can make it sound, stripped down, his message is utterly meaningless and has the nothing to do with the connectivity that characterizes the plot. The one interesting idea he poses is a slight deconstruction of the unreliable narrator, particularly with regards to Will. It’s legitimately unexpected when the movie poses the possibility that his account of his and Abby’s history may be sanitized, and that he himself recognizes this. But that exploration doesn’t evolve past the first “chapter”. All the movie has left under this is its narrative presentation. But the thing about that presentation is it’s not in any way as unique as Fogelman thinks, and has been done much better in a plethora of other films. If you want to see a movie about interconnectivity and the transcendence of the human experience, watch Cloud Atlas or Magnolia. If you want to see a movie about the evolution of a relationship told in a non-linear fashion, watch Two for the Road or Annie Hall. If you want to see a movie about the drama of multiple generations of a family watch How the West Was Won, American Pop, or Roots. And if you want to see a movie about how one tragic event links people across continents and socio-economic backgrounds, watch Babel, the best of all these and probably the closest analogue to Life Itself. Only Babel employed a much more honest approach to the universality of its characters and themes. Fogelman tries to make his central conceit sound optimistic and affirming: that the unpredictability of life is what makes it so wonderful -but that very unpredictability is seen in the film to ruin peoples’ lives, and there’s no statement made about that. I think that’s the root of why Life Itself doesn’t work. It’s disingenuous, melodramatic, and ignorant of real life. In making vessels of its characters it forgets that they’re people; a tragedy of the parents is seemingly justified by an ultimate happiness of the children. If Fogelman is trying to paint a picture of the random patterns of life, or more definitively, how a single event can shape a person, he’s overlooking the complexities inherent in that process for the purposes of a false sense of fulfilment. Fate won’t resolve tragedy. Bad doesn’t automatically beget Good. And sometimes, life itself can be pretty terrible.